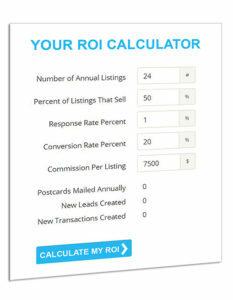 What if I told you that sending out 200 marketing postcards could potentially net you five new listings? Barbara Todaro, a Franklin, MA agent, sent 200 Just Listed postcards to a farm that surrounded her new listing and her mailing resulted in just that number – five new listings. Todaro’s advice, “Never eliminate a method because it’s basic, those are often the best methods.” “Everyone reads their mail”, she added. Yes, real estate postcard marketing has been around for a while. And, no, it’s not as innovative as digital marketing, but clearly – IT WORKS. We have to hand it to the real estate elders – who have been in the industry since before the “New Internet Age” of the 1990s. These agents have risen to the challenges of an ever-changing set of real estate tools. From an AOL dial-up connection on an Apple computer system that took up an entire corner of a room, to using artificial intelligence to laser-target real estate prospects. We’ve definitely come a long way. It was a steep learning curve, but like most things in life, as agents became more tech-proficient, the demand for high-tech grew. Faster load times, jet-propelled search engine rankings and the availability of real-time information instilled in everyone a need for speed. This sort-of-new-fangled idea that listing generation and conversion should be quick, painless and effortless came at a price, though. Old, yet highly effective marketing methods, were left in the dust. Of course, consistency is the key, but we absolutely know that postcard marketing works wonders for a real estate business. Direct mail outperforms email, social media and all digital forms of marketing by 700 percent, according to research from the Data and Marketing Association (DMA). Targeting millennials? Studies show that 92 percent of targeting millennials surveyed say they were influenced by direct mail. Only 78 percent of millennial’s surveyed were swayed by emails, according to a Nielsen survey. If you’re interested in targeting this growing demographic, take a look at our Millennial Postcard Series. In addition, the Marketing Sherpa survey showed that, overall, direct mail ads were the third most trusted form of marketing (behind print ads in magazines/newspapers and TV ads). For comparison, search engine ads came in sixth and, at the bottom of the list? Online pop-up ads. Is farming a thing of the past? In the past, most agents chose farm areas to target their best potential customers and direct mail marketing was the best way for them to reach these people. Guess what? It still is a great way to target your ideal customer. Neighborhoods that are ripe for the picking include those that haven’t turned over in a while. And, at least in 2019, those with a large Gen X and/or baby boomer population. The experts recommend that you start with an area you know best – such as your own neighborhood, or those surrounding it. If you are planning to go after the move-up market? Our Move-up Market Postcard Series is the perfect marketing solution. Your research into the right farm doesn’t stop with choosing your neighborhood; learning the area’s demographics (especially the average age and income of the residents) is vital to a successful campaign. The easiest way to ensure you are targeting the right demographic is to use our targeted mailing list tool. So, which are the most effective postcards for real estate? By far, the agents we’ve spoken with chose Just Listed/Just Sold postcards. But, cards with a compelling message do just as well. A great example is our Free Offer Series of postcards, with effective consumer offers that generate a response from your targeted audience. “We host monthly events at our office and invite local businesses and residents. When we send a Just Sold postcard, it includes an invitation message to the party,” states Laurie Laykish, Engle & Volkers. Though the invite isn’t the focus of the card (the just-sold home is), “we have had at least 2 people from each drop of 200 cards that attend an event and sign up to buy or sell with us,” Laykish concludes. This is why it’s important to keep the postcard’s focus on the recipient and not on you or your business. Telling—or hinting—at what’s in it for them will appeal to them far more than blatant self-promotion. A successful real estate marketing plan is multi-pronged, across different platforms. If a year-round direct mail marketing strategy isn’t currently part of your plan – the time to change this is now. 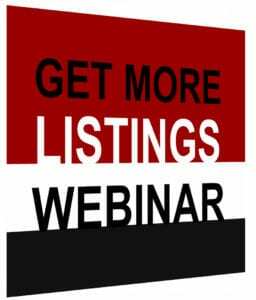 Start with sending the Free List of Homes from the Free Offer Series to at least 100 new prospects in an area where you want more listings. Quick! What’s the one thing all home sellers expect their listing agent to do for them? You got it – market the home so it sells for the most money the market will allow. They expect, and sure sometimes they receive, the services of an ace marketer. Most of the time, however, they’re getting someone who has had to learn marketing on the fly. The truth is, how effectively you market yourself is an indicator to consumers of how well you’ll market their home. It’s tough to find the time to figure out creative new ways to promote yourself and your business. However, the tail-end of the so-called “winter slowdown” that’s upon us right now, may just provide you with the time necessary to enter the spring market with guns blazing. When someone is considered “bold,” she exhibits confidence, courage and a willingness to take risks, according to the dictionary. If this even partially describes you, the world is your proverbial oyster when it comes to ways to market yourself in the real estate industry. Unlike many of us, you aren’t afraid to step away from the pack, you aren’t concerned that one potential client might be alienated and your biggest fear is being lumped into the rest of your town’s “pack” of real estate agents. Instead of running from the spotlight, you run, headlong, smack-dab into the middle of it. Before Silicon Valley’s Ken DeLeon became Wall Street Journal’s number one agent in the country, he did some deep thinking about what would set him apart from the masses. Now, this is a guy who, if he likes the song the DJ is playing, thinks nothing of getting up on the dance floor at the local dance club without a partner. And, he’s not even that great of a dancer, according to his own admission (“but I am the fastest” he boasts). “Instead of ‘Y-M-C-A,’ I was singing ‘S-O-L–D.’” A little Orphan Black-esque, It got the phone ringing and, when last we heard (which was a couple of years ago), DeLeon sold about 12 percent of the available homes in his market. He’s not always crazy in his marketing, but he meets his goal of standing out from the crowd. Instead of a one-page market analysis, the former attorney beefs his up to 200 pages which includes neighborhood guides along with current market statistics. Then, there are the spotlight-driven brokerages, agents and teams who shine best in the YouTube realm, with branded videos. One of our favorites is, “Teach me How to Dougie” from The Smith Group in Newport Beach, California and Santa Clarita, California’s Real Estate Rockstars. Show off their property with style (Available in the Postcard section under Property Showcase Series). Grab some inspiration and hog that real estate spotlight! OK, so you’re not outrageous. You’re not alone. 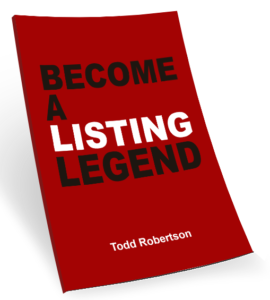 And, thankfully, there are understated yet wildly effective ways to stand out from the other agents in your market. In fact, to some, nothing is funnier or more entertaining than not taking yourself seriously. Self-deprecation, dry wit and irony, if you can pull it off, can be your key to uniqueness. When People magazine dubs a video “the most inventive video advertisement the real estate world has ever seen,” you understand that people get this type of humor. They’re referring to the brilliant work of New York City agent Brian Keith Lewis. You may have seen Lewis on stage at a past Inman Connect. If not, get inspired by more of his videos on his YouTube channel. If real estate videos (even the understated variety) are a bit elaborate for your budget, there are other easy and inexpensive ways to promote your brand. “We can complain because rose bushes have thorns or rejoice because thorns have roses,” claimed the late French journalist and novelist Alphonse Karr. It’s all in how you look at things, right? Try looking at those “things” through a new or different lens. Use that lens to check out tasks that you can perform in your real estate business better than any other agent in town. Open house? Make yours different. Or, focus on broker’s opens and make them the talk of the local MLS meetings and tours. Something as simple as returning phone calls within minutes of receiving them sets you apart from the masses. 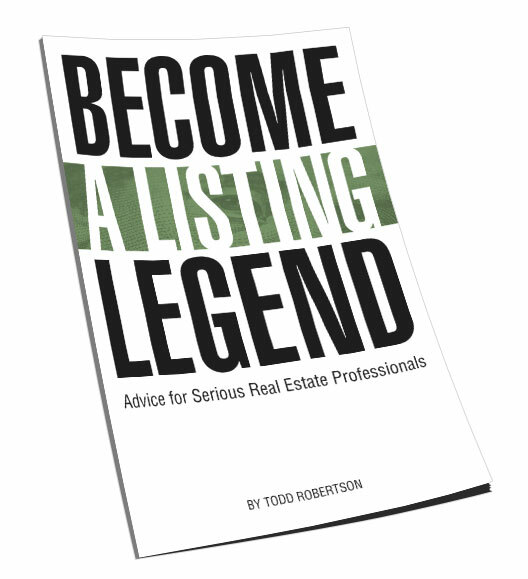 Become amazing at one thing that’s important to real estate consumers. Brag about it, become amazing at it and you’ll be known for it. So, what if a tactic doesn’t work? Try another. Push the boundaries, be brave, be bold and vow to be successful in promoting your brand. 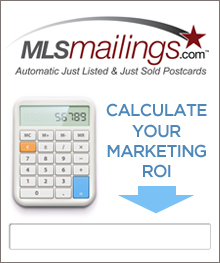 Send at least 100 Free Market Analysis postcards from the Free Offer Series to an area where you want more listings. It’s a safe bet that the percentage of real estate agents who come from a background in marketing is quite small. Therefore, it’s understandable that marketing can be a challenge. Fortunately, learning by example is an effective way to overcome this lack of knowledge. Let’s take a look at the following four common real estate marketing blunders so that you can avoid making them in the future. Planning isn’t as interesting or fulfilling as doing almost all things in life. So, we get it that creating a marketing plan isn’t something you put at the top of your to-do list. But, that’s marketing mistake number one. Just as you caution your buying clients to enter the process prepared, with a plan, so too should you, when marketing your business. Even a rudimentary plan can help keep you on track and on budget, but the more detailed the plan, the better it will perform. 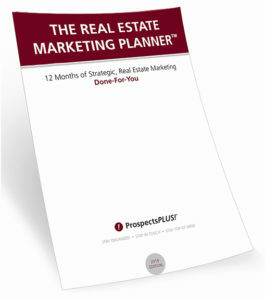 A powerful 12-Month-Guide that strategically defines what marketing to do when is our Free Real Estate Marketing Planner. 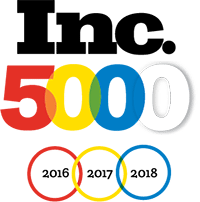 It includes weekly strategies for Four key market segments including, Niche Marketing, Listing Inventory, Geographic Farming, and Sphere of Influence. Please take advantage of this Free 12-month Marketing Planner, go here to download. One of the biggest myths about homebuyers is that the largest group of them are first-time buyers. You’ll find this misinformation online on agent websites, sites trying to sell stuff to agents and even news stories. NAR tells us that first-timers make up only 33 percent of all homebuyers (and that number is down from the previous year). Therefore, diversify your marketing dollars to include target markets in addition to first-time home buyers. Some of the other top target markets include Baby Boomers, Move-Up Market, Lifestyle & Interests, Empty Nesters, High-Income Consumers, and Investors. Marketing Mistake 3: And who are they? NAR breaks buyers and sellers into generations and Gen X (born 1965 to 1976), according to the association, makes up the largest home seller pool at 27 percent. In reality, baby boomers (between the ages of 54 and 72) in the market far exceed that number, at 43 percent. NAR, however, cuts the generation in half, making it appear to be a smaller group of consumers. But, since both generations own homes and are likely to move, a smart agent will target both. When you understand where the money is, and vow to strategically target those with it, everything else marketing-related, from the social media platforms you utilize to your content, falls into place. 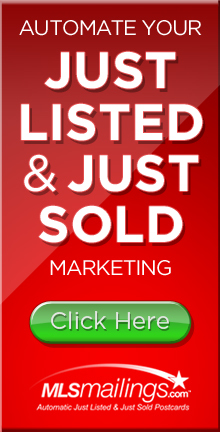 Marketing involves a whole host of talents that most real estate agents don’t possess. Sure, you may be an ace photographer or may have studied graphic arts in college, but an agent who has all of what it takes to market his or her business would be a rarity, indeed. There’s not a thing wrong with outsourcing your marketing needs, be it from the creative side (writing, photographing, videography, etc.) or the hands-on side (managing bulk or email lists, website work and social media management) or the design side by trusting in an industry marketing expert like ProspectsPLUS! for all of your real estate marketing materials. 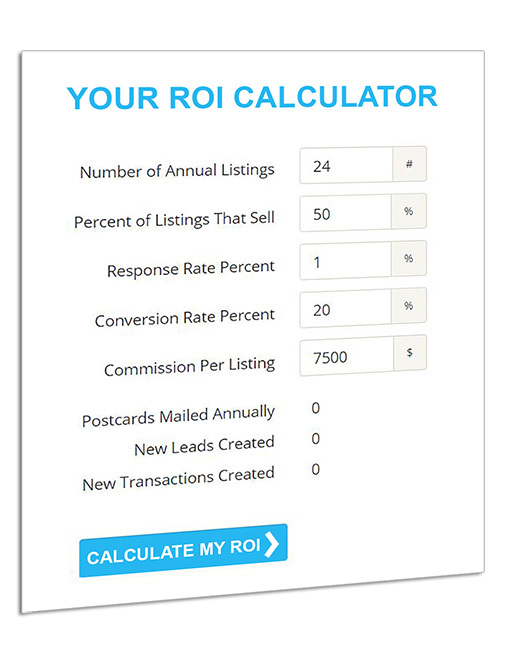 Your job is to generate the leads required to make deals. Save time and frustration by hiring experts for the rest of the work including turning to industry expert marketers, such as ourselves, for marketing materials that speak specifically to the market you are targeting. We understand the possible fear of committing the appropriate budget for this important area of your business. First, outsourcing marketing tasks is tax deductible (as are marketing materials). Second, it frees up more of your time which, in turn, means you’ll be working more on the money-making activities. Time for you to go after the “current” largest target market, Baby Boomers! Send at least 100 Downsizing, Retiring Soon postcards from the Life Event Series to an area where you want more listings.